a Revolution disguised as Organic Gardening. Plants combine sunlight, water and carbon dioxide to make sugars. They send many of these sugars down through their roots to feed beneficial microorganisms including bacteria, fungi, protozoa and nematodes. 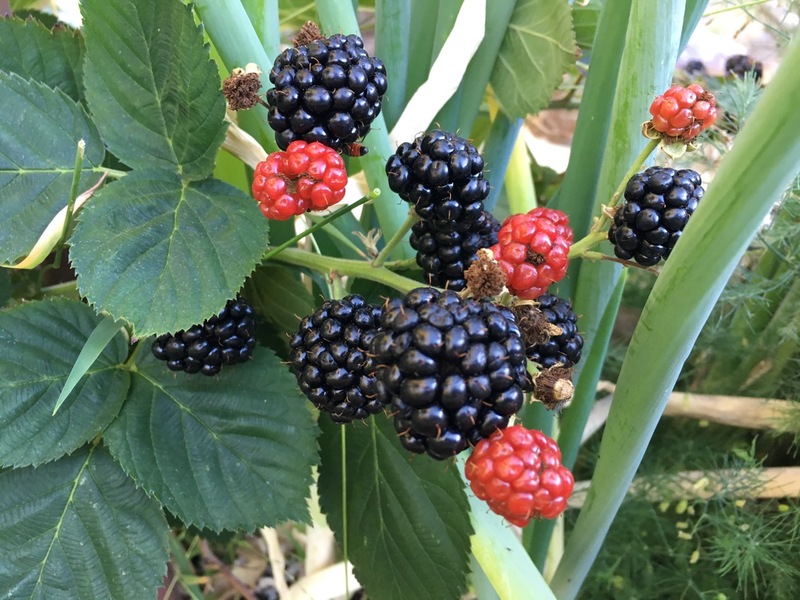 The plants are trading sugars ("cakes and cookies" per Elaine Ingham) for dense and highly available nutrients provided by the living soil food web. An old growth forest takes many years to create deep living soil, but we can accelerate the process by composting. We have replaced our suburban lawn with Hugelkultur raised beds built with logs and living soil. We are making living soil by composting garden trimmings, food scraps and coffee grounds from local coffee shops. We are growing a wide variety of plants that feed birds, bees, butterflies and people. We are harvesting rainwater in barrels, swales and terraces. We are breeding worms. And saving seeds. We are creating a small permaculture farm in suburbia.